Pictured: 10 of our 13 big fat hens. It's breakfast time, and the chicas are hungry. 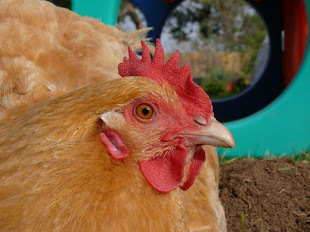 What beautiful, silly, feathered, chatty chooks we have. QUE FELICIDAD ESTAS GALLINAS ASI DE PASEANDERAS!! !